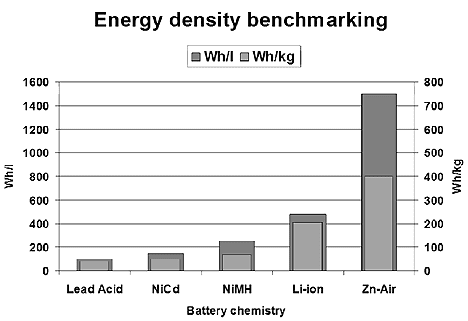 Environmental, Health and Safety News: Battery salvation in 2011? Planar Energy claims its solid-state lithium-ion battery design can deliver three times the energy density of today's lithium-ion batteries at less than half the cost per kilowatt-hour. The solid-state inorganic nature of the battery is the key to its high performance, says M. Scott Faris, the firm's chief executiHTML clipboard ve officer. Performance targets for the BEEST program are to exceed 500 Wh/kg and 500 cycles at commercially viable recharge rates. By 2016, the goal is to produce a cell with 600 Wh/kg and 1,000 cycles. IEEE Spectrum reports that Planar Energy batteries store 400 watt-hours of energy per kilogram One problem with current battery performance, Faris says, is the need to package the active material of the cathode with binders, separators, and liquid electrolytes. "You only get a fraction of the theoretical energy density," he explains. With Planar's design, he asserts, "you can get around 95% of the theoretical energy density of the active materials. 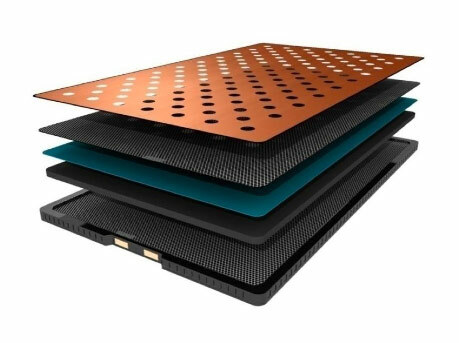 Planar Energy's new generation of inorganic solid state electrolyte and electrode materials combined with a proprietary manufacturing process (Streaming Protocol for Electroless Electrochemical Deposition, or SPEED) comprises a materials performance and fabrication breakthrough that overcomes the production and cost barriers to low-cost, solid state, large format batteries. Planar's electrolyte chemistries have more than 1,000 times the conductivity of vacuum-deposited electrolytes and ionic conductivity equal to that of high-performance liquid electrolytes, but without their drawbacks. ReVolt Technology, aims to go to market with an even smaller battery. ReVolt is working on a zinc-air flow "button cell" battery to power hearing aids. The first model will be a primary, or nonrechargeable, battery, but CEO James P. McDougall says it will be followed by a rechargeable version. They are also trying to get 400 Watt hours per kilogram. Sion Power's Li-S technology provides rechargeable cells with a specific energy of over 350 Wh/kg, which is 50% greater than the currently commercially available rechargeable battery technologies. Over 600 Wh/kg in specific energy and 600 Wh/l in energy density are achievable in the near future. Sion Power believes that by utilizing Li-S technology, a battery pack weighing less than 700 lbs can power a 3,500 lb five-passenger vehicle more than 300 miles.